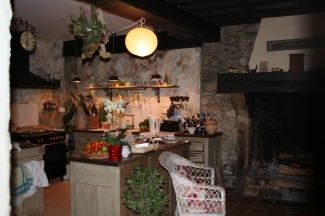 Authentic french stonehouse with great fireplace. 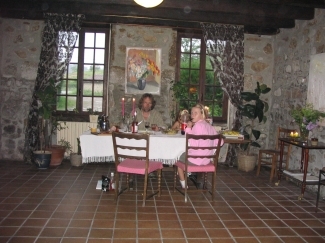 Our great house in the middle of France is for rent this summer. It has its own bar, as it is an old restaurant. There are several gardens around the house, at one side you look at the river, in which it is possible to fish. The house has 4 bedrooms, one bathroom, three toilets, a great kitchen with fireplace. 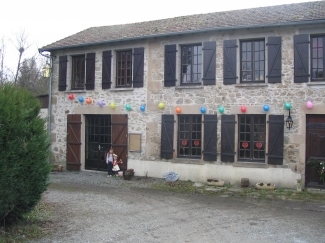 The house is in the middle of the great woods of France, 30 km from Lac(lake) de Vassiviere. 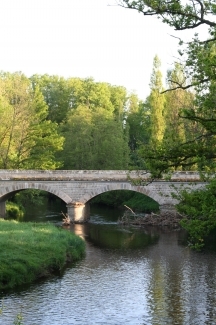 50 km from Limoges, 30 km from Gueret. 400 km from Paris. 280 km from Bordeaux. Balance to be paid - On booking to arrival.